Shoot a monkey out of a cannon carrying your latest ad! Walk a tightrope across Niagara Falls blindfolded! Drop hundred-dollar-bills over the crowds in Times Square! On the one hand, they say any publicity is good publicity. Antics like these definitely get publicity. So these stunts must be brilliant, right? If a stunt is unrelated to you, your company, or your service, then will consumers link the stunt to your business? Will your performance translate into any measurable business outcome? It might seem like you’ll need to spend a fortune to make it work. More important than the size of your budget, though, is the size of your imagination. Think about how you’ll hit one of these goals, and then let your creativity run wild. Measuring direct revenue from a PR stunt can be tricky, since brand recognition is a long-term goal. But even objectively, some stunts are worthless. Here are the guidelines to bear in mind. 1. It needs to align with your company’s values. This is the single most important mistake that companies make when they attempt to use a PR stunt. Even if the stunt itself garners millions of tweets and shares, catches the media’s attention, and generates a ton of buzz – it’s still worth very little to you if it doesn’t tightly tie into your brand’s image. Instead of going for shock value, make sure that the stunt demonstrates, in some way, how you want your target audience to view your brand. 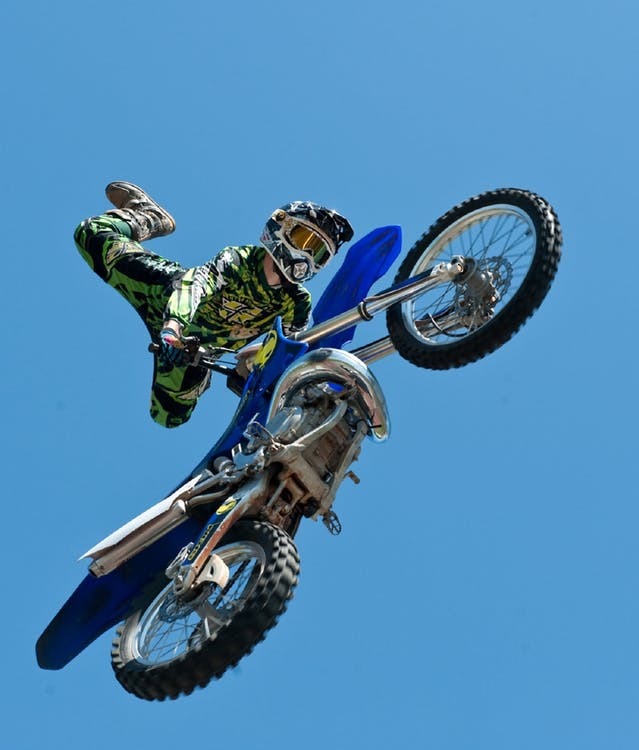 For example, Red Bull’s brand message revolves around “transcending human limits”. Their amazing PR stunt, in which Felix Baumgartner skydived from space for Red Bull Stratos, was the perfect way to illustrate this message. On the other hand, PR stunts that are completely disconnected from the brand that they market often fail miserably. For example, JC Penney decided to spread the news about a line of soft mittens by having one of their employees tweet out messages while wearing them, leading to misspelled gibberish on the afternoon of the Super Bowl. The response? The company’s Twitter followers didn’t make the connection at all – in fact, some assumed that the employee was drunk! 2. It needs to be surprising. This one seems to go without saying… but the more surprising your PR stunt, the better. Consider one of my favorites, James Patterson’s exploding book sale. The prolific author made a shocking offer – he offered to sell a self-destructing copy of his new book for $294,000. You read that right – the book would self-destruct after 24 hours. Of course, he made sure to make it worth the buyer’s while, including some extra perks in the deal, like reservations at a luxury hotel, a private dinner with him, and a set of gold-plated binoculars that the buyer could use to watch the book explode from a safe distance. Heard of a good PR stunt? Don’t use it again, unless you make it your own! Nobody will be excited if you repeat someone else’s PR stunt. For example, the whole world saw the 2018 Super Bowl ad that masqueraded as a trailer for a new Crocodile Dundee movie. It was a great idea – but one that can never be used again without viewers rolling their eyes. 4. It needs to target the right audience. 5. It needs to be shareable. In today’s social world, PR stunts should lead to shareable content. If you can’t explain your stunt in the space of a tweet, a photo, or a very short video, your concept needs to be simplified. 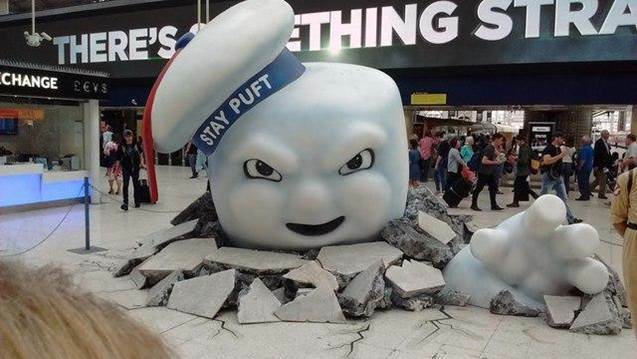 For example, creating a huge Marshmallow Man exploding out of the ground outside of London’s Waterloo Station was a great advertisement for a new Ghostbusters movie in 2016. It allowed for people to take fantastic selfies that spread across social media. In 10 days, the stunt generated 52.6 million selfies! First, do no harm. Carefully comb through your plans to make sure that you will not be offending your target base. A bit of action is okay, but hurtful or harmful impressions are not. For example, when a movie theater hired armed actors to storm a screening of Iron Man 3, many of the moviegoers were terrified. What followed was a media storm: endless panicked calls to the police, a required public apology, and even an army vet whose PTSD was triggered due to the stunt. The devil is in the details. Make sure that you can pull off the stunt flawlessly. For example, Domino’s Pizza in Japan was planning on pulling a stunt where pizzas delivered around the holidays would be delivered by trained reindeer – until they discovered that reindeer were not quite as trainable as they thought. And remember the famous Pontiac giveaway on Oprah in 2004? While everyone in the audience was ecstatic that they had won a free car, media attention centered on two primary things: the generosity of Oprah (who was portrayed as the “giving angel,” although Pontiac had supplied the cars), and the fact that each winner had to pay $6,000 in taxes. So sit down and get brainstorming! Just don’t lose sight of the end goal. A PR stunt that is well-designed can increase brand recognition, generate media attention, and impact your bottom line. But choose your stunt carefully, and make sure that it advances your brand’s messages in a positive way.